I have been photographing wedding celebrations at The Milleridge Cottage for decades and they never lose their charm. The elegant atmosphere of the colonial styled lobby welcomes your guests onto the premises. The dining room features a warm, inviting fireplace and perfect hardwood floors. One of it’s most beautiful features is it’s atrium which is pictured here. Inside this atrium your cocktail hour and Viennese hours will be held. 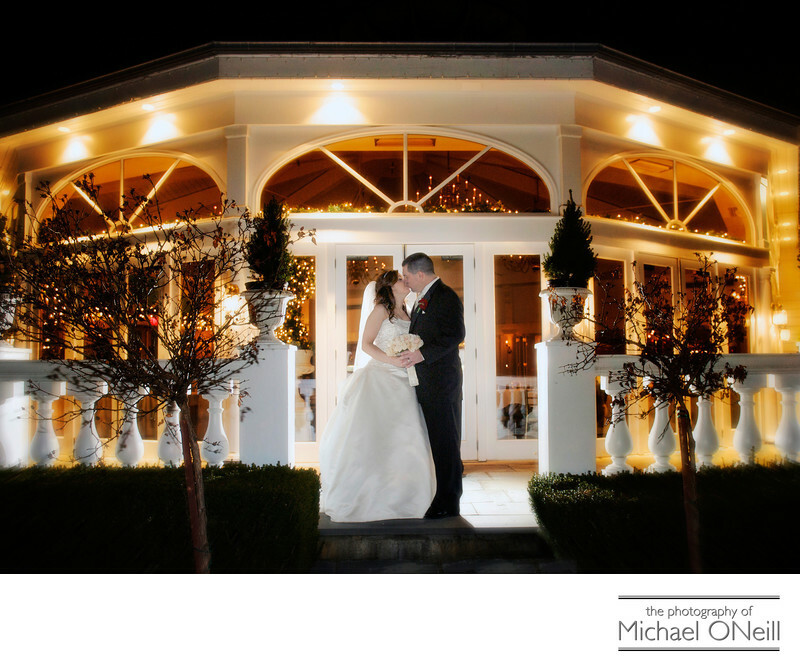 Outside this atrium is one of the most beautiful spots for wedding photographs anywhere in Nassau County, Long Island. This photo was taken outside the atrium at night. In addition to The Milleridge Cottage, smaller parties can be accommodated at The Milleridge Carriage House located on the same property as the cottage, the shops and the legendary Milleridge Inn...a Long Island a la carte dining tradition for over 80 years.